New Delhi : Senior pensioners falling under the age of 60 to 80 years are going to stage an indefinite hunger strike on December 4 in order to draw the attention of the government towards their plight. Nearly 40 lakh pensioners who are receiving pensions in the range of Rs 200 to Rs 2500 post-retirement have threatened of a mass suicide in the national capital on December 7, if their demands are not met. The EPS-95 pensioners have set a deadline for the government, failing which they'll perform self-immolation at New Delhi's Jantar Mantar, on December 7. "We are not in a state to give more time to think for we don't have much time left with us too. 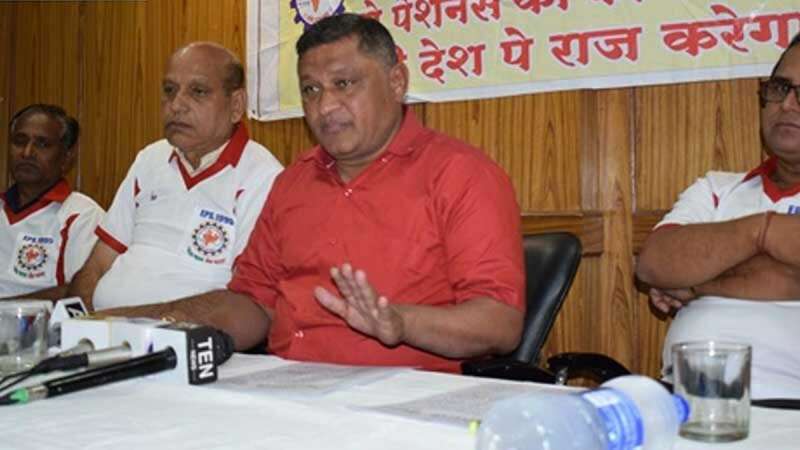 We are giving the extension till December 6, if the government doesn't respond to our plea then we'll be compelled to perform mass self-immolation on December 7 at Jantar Mantar as we don't have any other option left with us," said Commander Ashok Raut, President of Rashtriya Sangharsh Samiti. Commander Raut, in a sarcastic tone, asserted, "Leaders of several parties will cut the ribbon on December 7 to inaugurate our mass suicide. It is better for us to die than suffer daily. We tried everything in our capacity to make those deaf ears hear but in vain. We have performed a 'Bhiksha Andolan', mailed 12 lakh postcards to the Prime Minister, shaved our heads in protest outside District Magistrate's offices, sent appeals via DM offices, and even organised a lockdown protest of regional EPFO offices to draw the attention of the administration. We have even stripped our shirts off to mark our protests in front of the offices. We have tried every single way to peaceful protest. We ran out of options for senior citizens like us can't demolish public properties, thus we are forced to take such an extreme step." Commander Raut informed that in 2014, PM Narendra Modi had promised to increase the pension to Rs 1000 per month, still nearly 17 lakh pensioners are receiving a monthly pension of less than Rs 1000. Around 40 lakh pensioners are getting the less than Rs 1500 per month and the EPFO is misleading them.